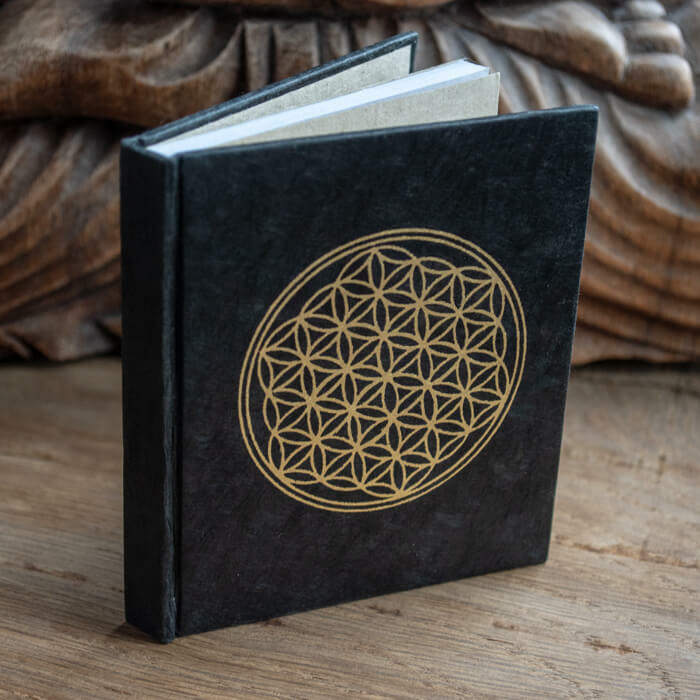 Small but perfectly formed, this notebook is idealfor keeping in your pocket or bag at all times. 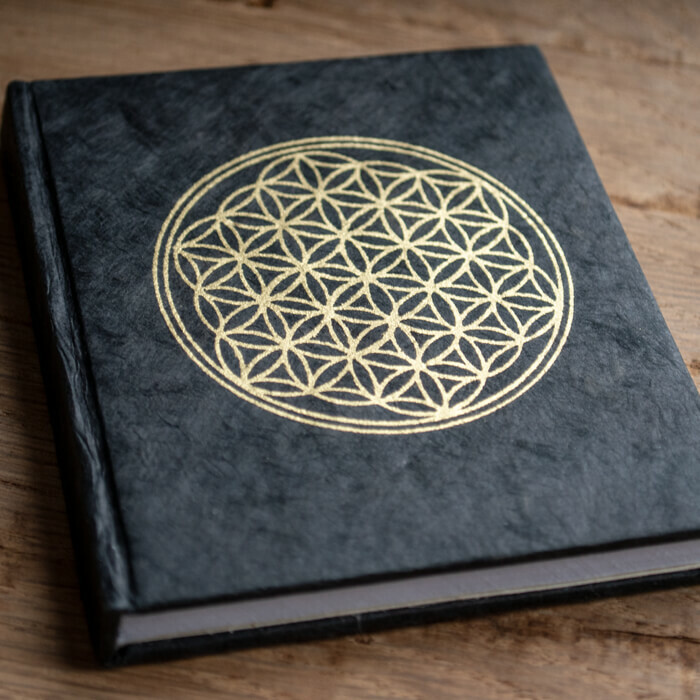 The notebook is hardbacked using Lokta paper and features a gold coloured Flower of Life design. The interior pages are blank. Origin: Handmade in Nepal, environmentally produced. Perfect size to take anywhere lovely little book. Grabbed 2 since it was on sale.